The solo Accordion Project explores the French Café Accordion Musette, Tango & Jazz music of the 1920’s-50’s. The repertoire consists of well known, easy listening songs perfect for creating a relaxed atmosphere at any event. The Accordion is one of a few instruments that can accompany itself while allowing the performer to walk about while playing. The solo accordion project perfectly suits wedding receptions, corporate events, restaurents & background music at any event. 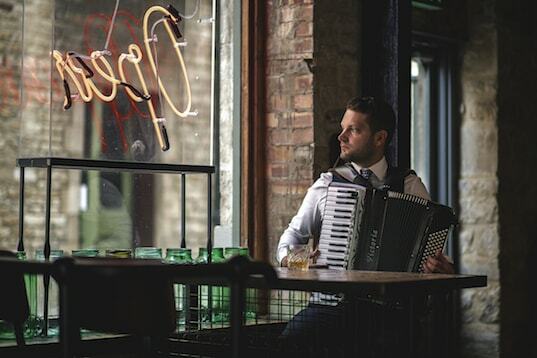 Jonny has performed solo Accordion for companies such as Renault, John Lewis, Virgin Media, Café Rouge, The Natural history museum, St Pancras hotel and on the BBC series the Peaky Blinders. The Jonny Kerry Quartet is an acoustic ensemble inspired by Gypsy Jazz, New Musette, Classical & Tango music. The quartet performs dynamic and lyrical arrangements of both standards and original compositions that draw upon diverse international rhythms and musical idioms. The Quartet is Led by Accordionist and singer Jonny Kerry and completed with guitarists Harry Diplock, Ducato Piotrowski & Mike Green on double bass. 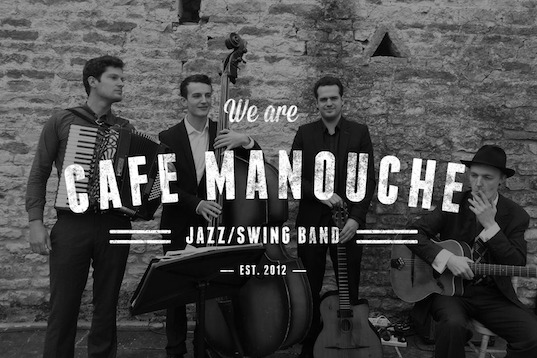 Café Manouche are a young Gypsy Jazz & Swing band formed by three brothers. Playing music from the 1920s to the 50s, including Parisian Waltzes, hot swing and touches of latin and bossa nova, Played in the distinctive style of Gypsy Jazz guitar legend Django Reinhardt. 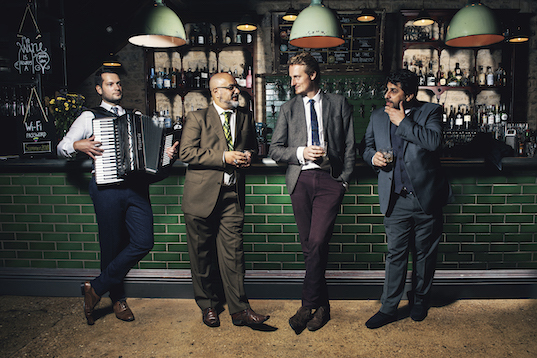 The band are quickly making a name for themselves in the UK and are considered one of the UK's top Gypsy Jazz bands. Jonny Joined the Nottingham based Gypsy Jazz band Maniere Des Bohemiens at the age of 18. During Jonny's time with the band he performed at hundreds of events throughout the UK, including at well known festivals and on the BBC. The band released two albums and an EP, "When the road bends" and "Melodies Manouche", the albums were released on the Nottingham record label 'Farmyard Records' and the band toured the UK after each release. 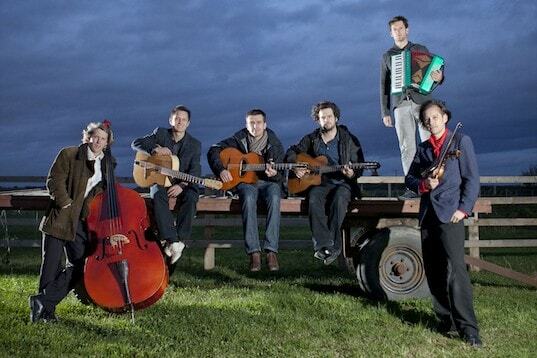 Jonny left the band in 2012 and started the Gypsy Jazz project Café Manouche with his two brothers and sister-in-law.